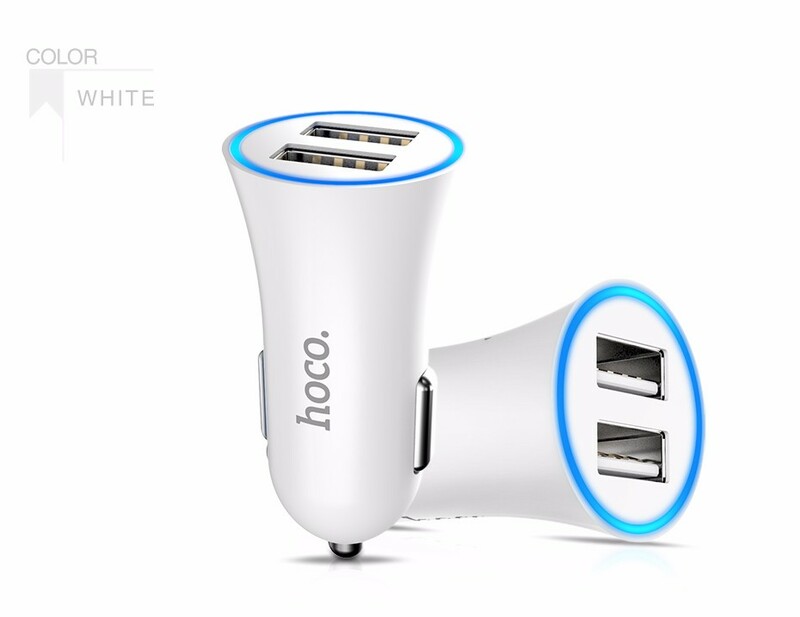 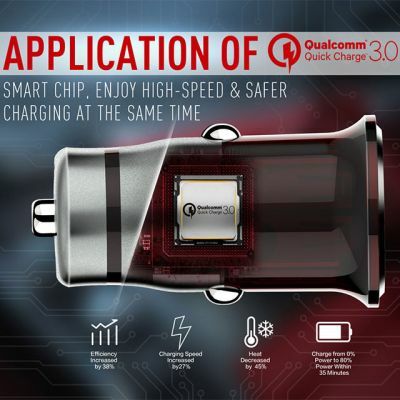 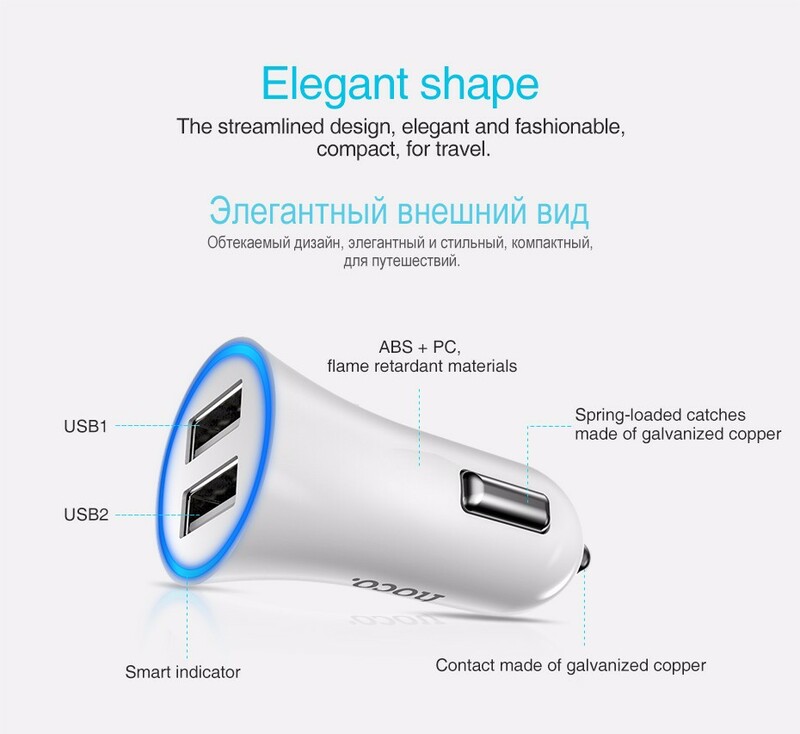 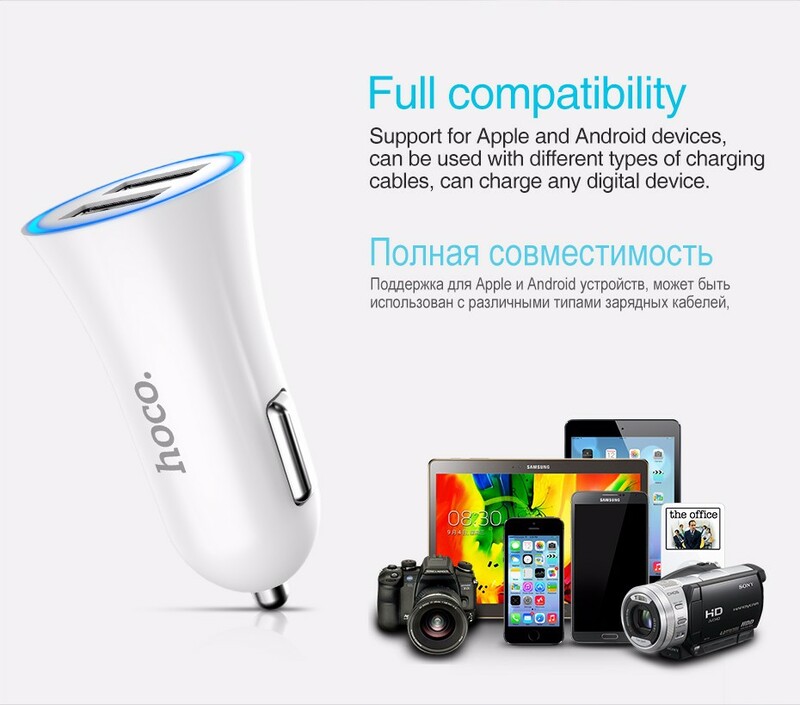 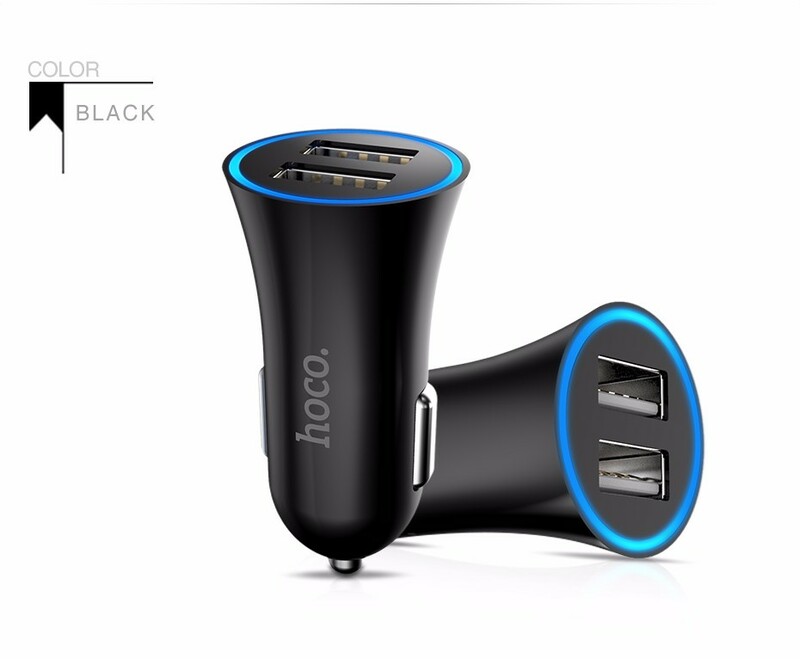 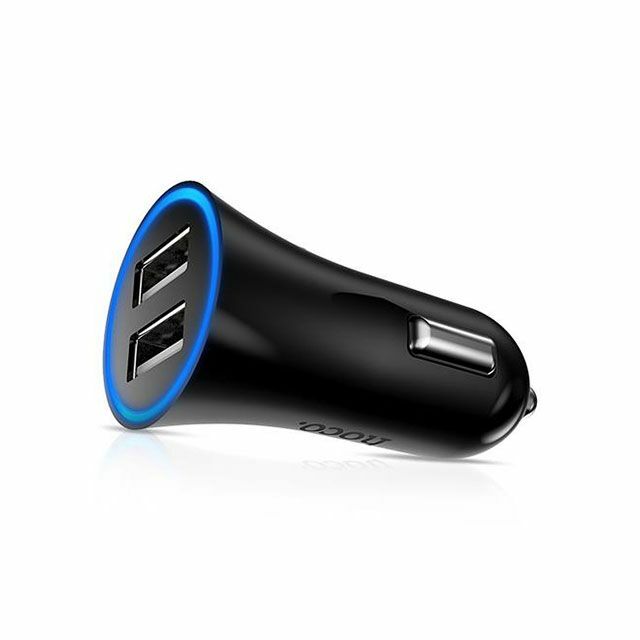 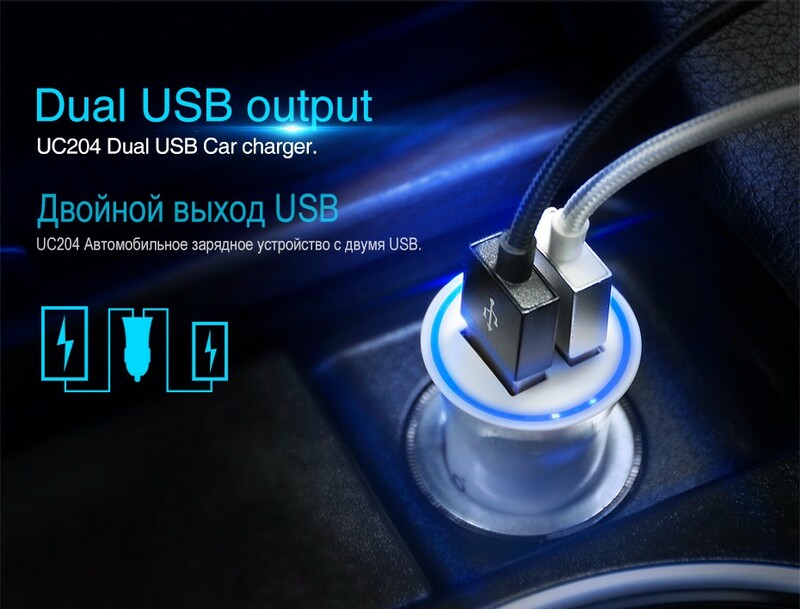 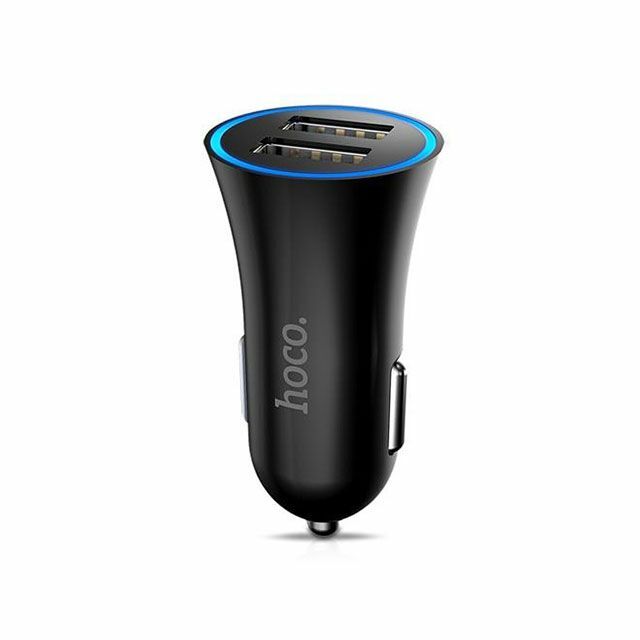 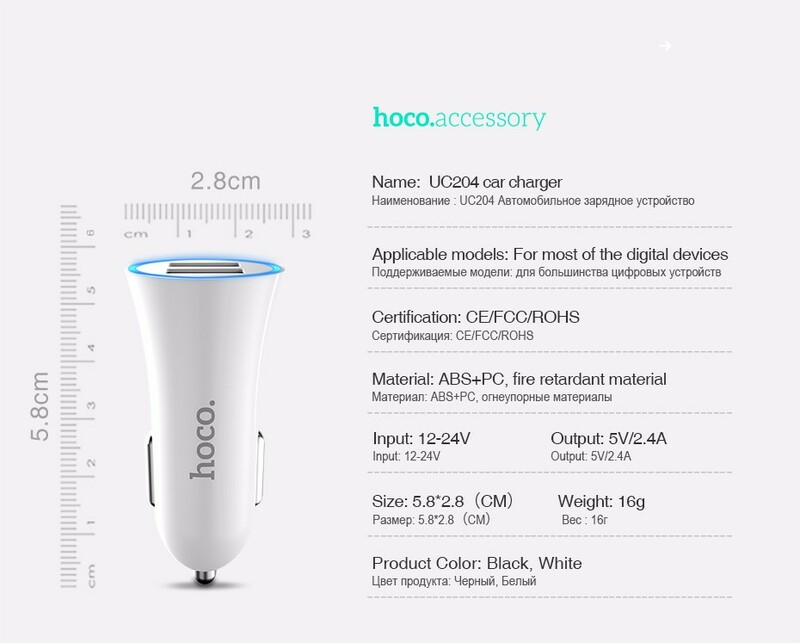 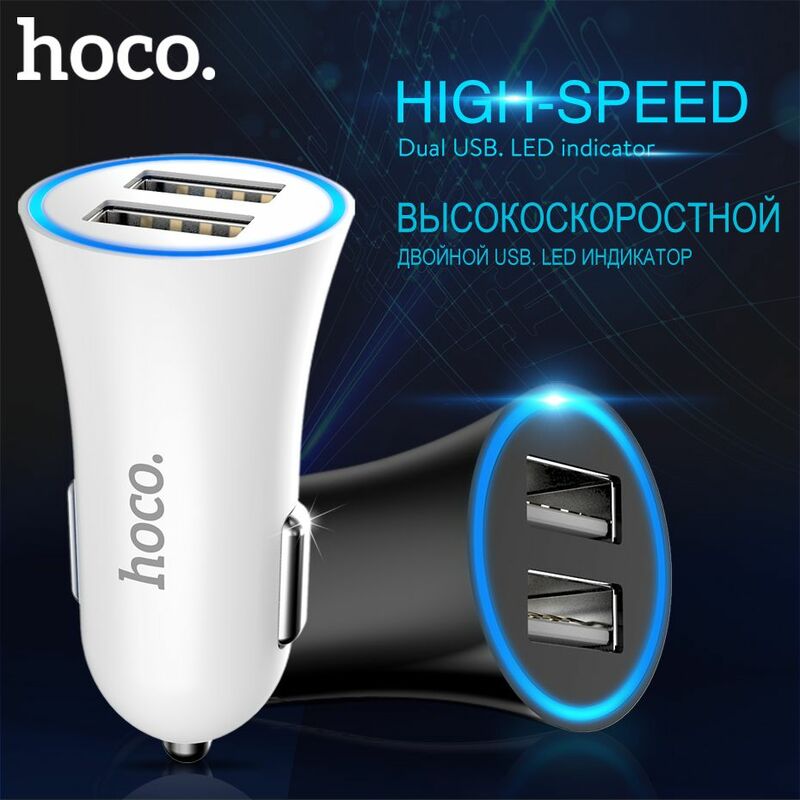 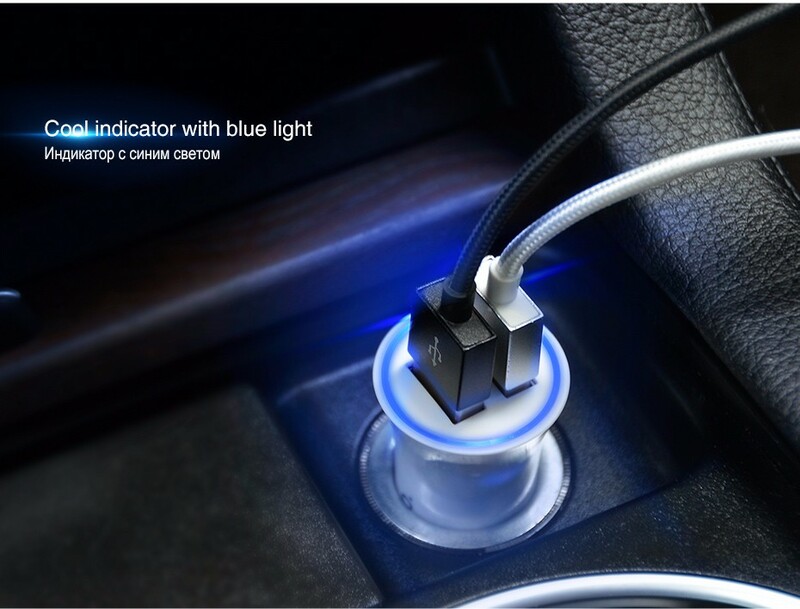 Featuring the mini size and beautiful design, this Dual USB Car Charger supports high speed USB charging, high efficiency, safe and reliable. 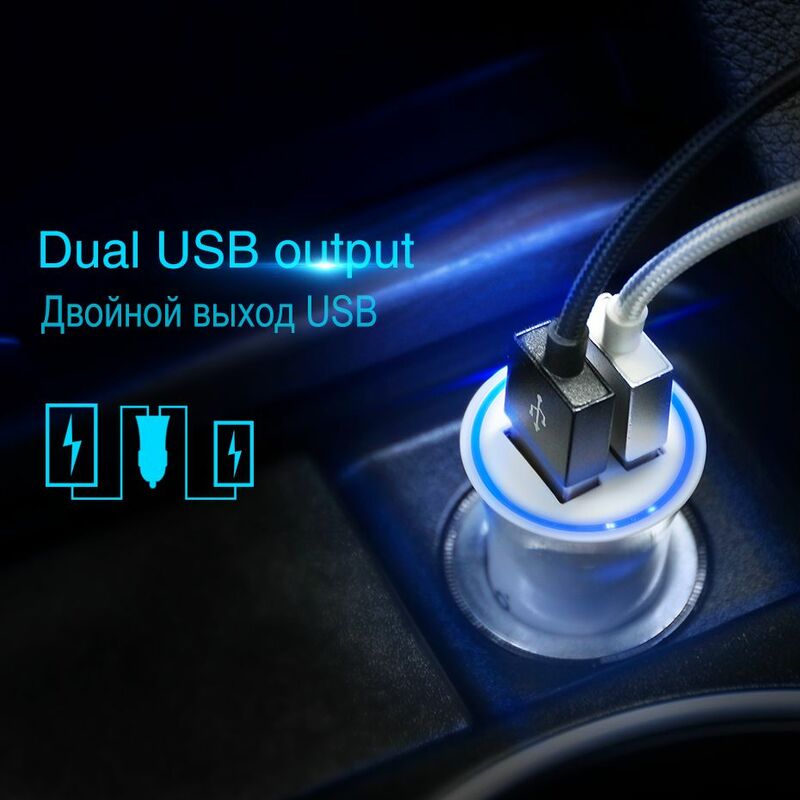 Just use your existing USB charge / sync cable and plug the mini adapter into your car's cigarette lighter jack to become a powered USB port. 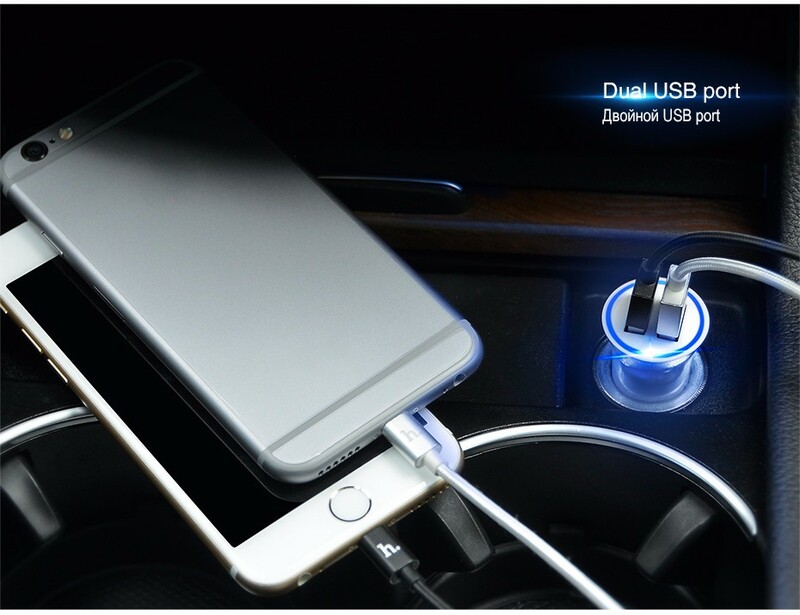 Patented circuit board designed to protect your valuable gadgets from short circuits. 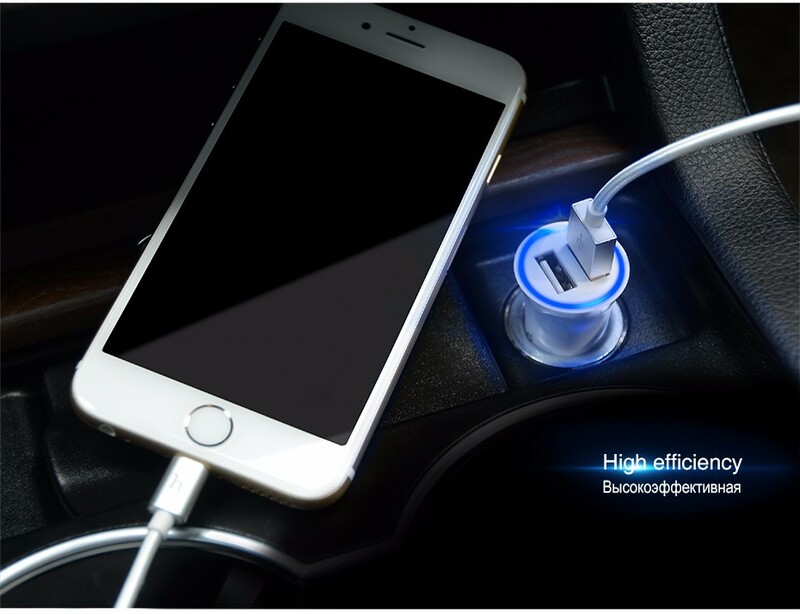 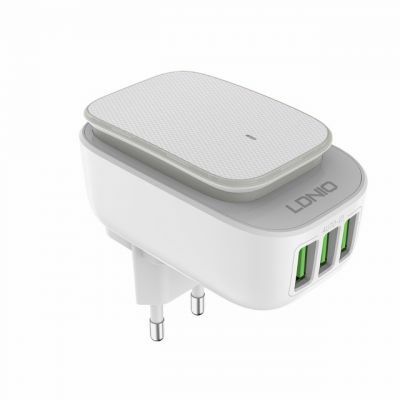 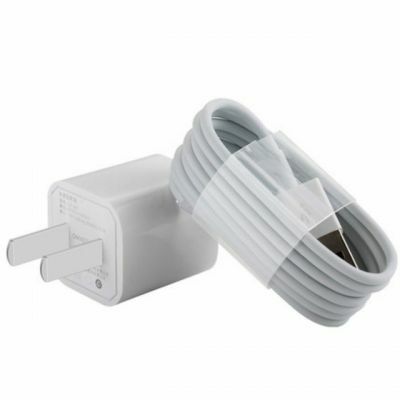 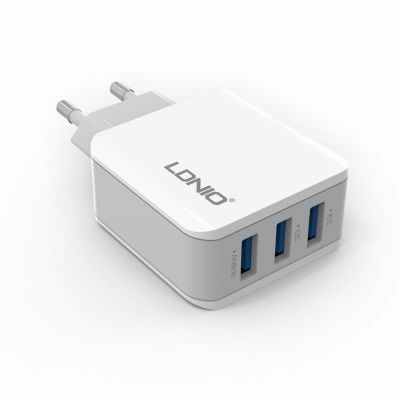 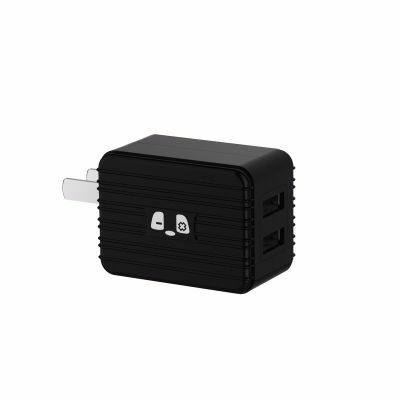 It is suitable to use for charging wide range of electronic devices that can rely on USB for power, such as iPod, iPhone, iPad, smartphones and tablets charge, etc. 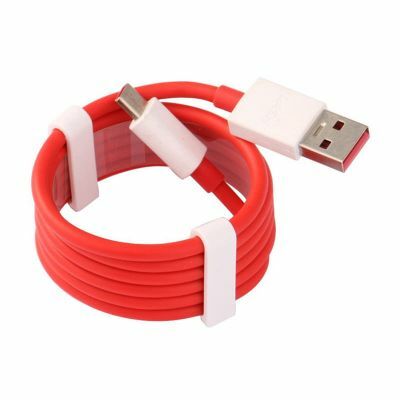 Made of anti fire ABS+PC material, safe to use. 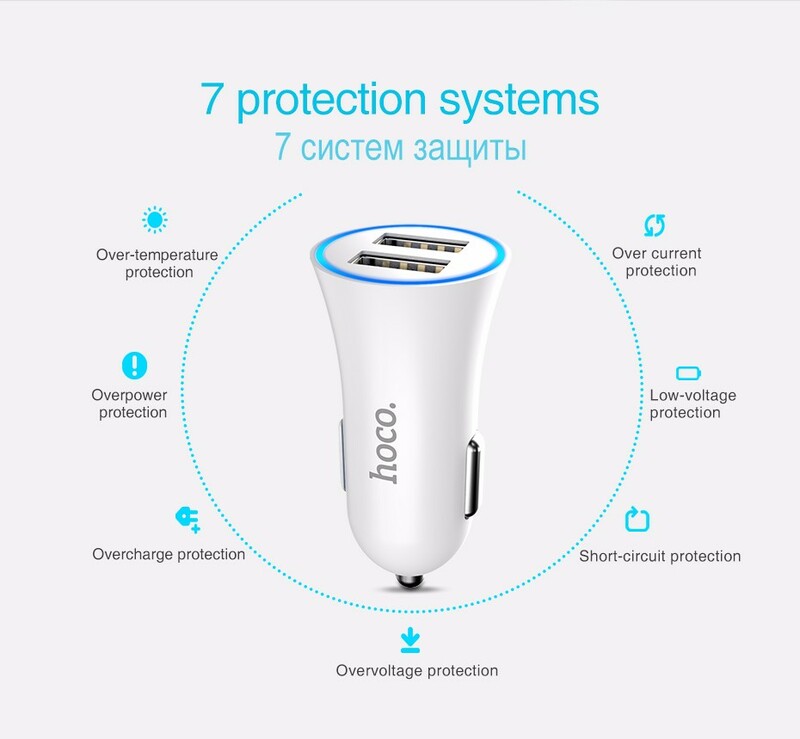 Multi-protections: over current, over temperature, overload, short circuit protection. 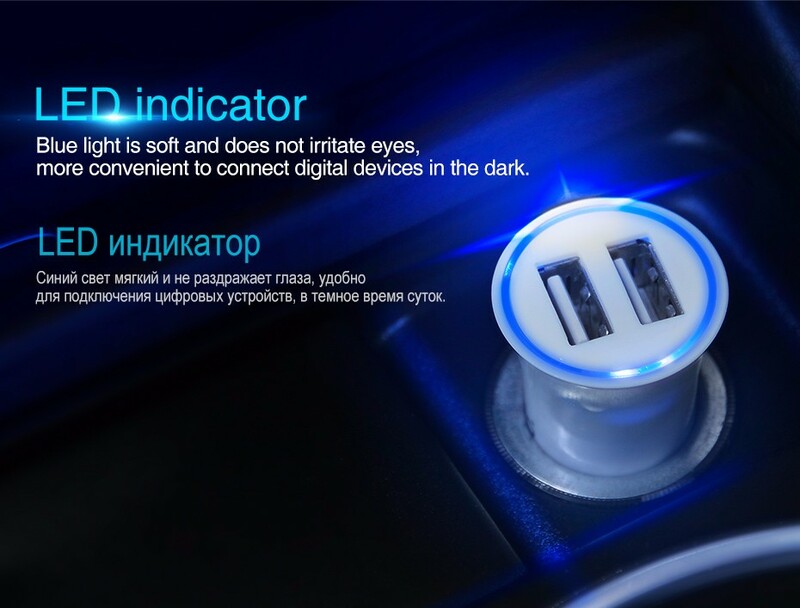 LED smart light indicator, shows working states clearly. 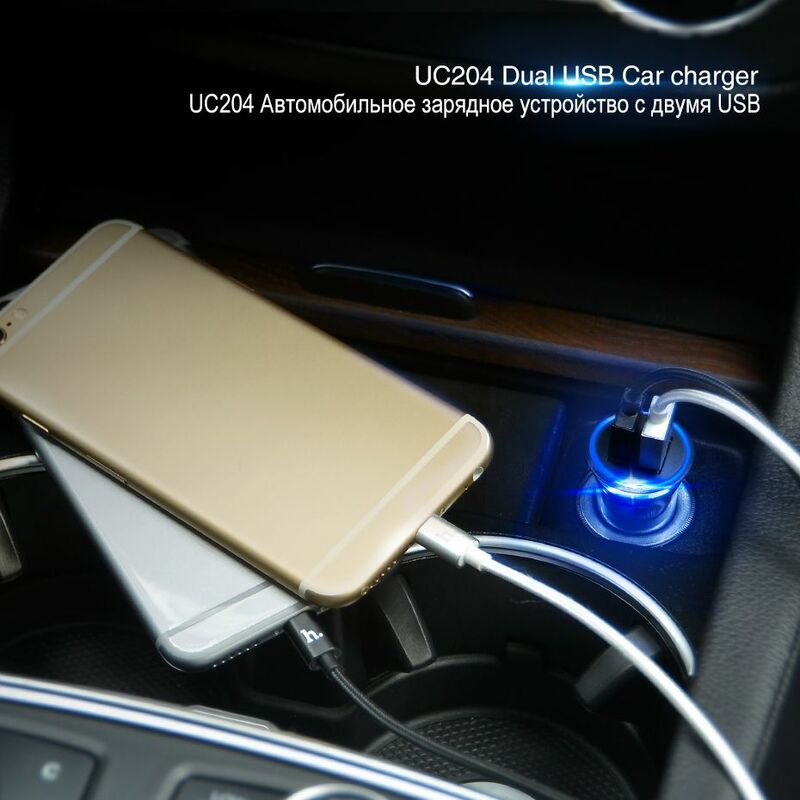 Suitable for all 12-24V vehicles, very universal. 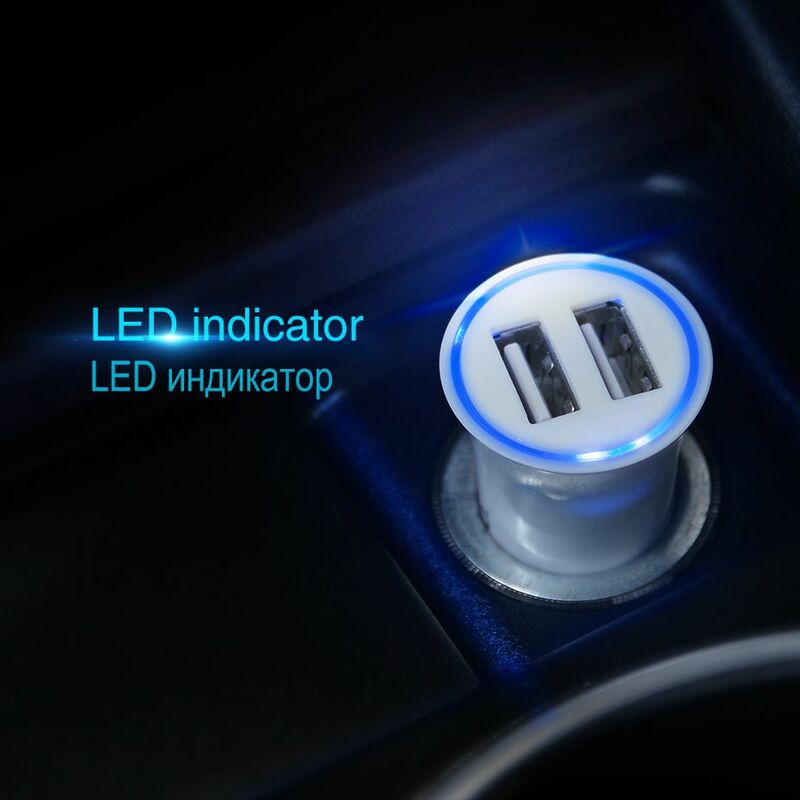 Small and light weight design fits for any standard cigarette lighter adapter.